Is Your Area Rug Mucking Up Your Area? 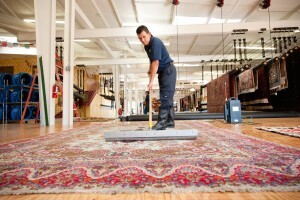 Restore It With Our Area Rug Cleaning Services. Is your area rug in desperate need of cleaning? Do you have a handmade heirloom rug that needs serious TLC? Whether your rug is an antique Persian or a wild contemporary throw, you want your rug to be cleaned carefully and thoroughly. You’ll get the experienced precision cleaning you want with the expert gentleness your rugs need when you work with Rainbow Carpet Cleaning. You want your area rug delivered to you like new again. With over 40 years experience cleaning area rugs we take every measure possible to give you exactly what you want. Handmade area rugs are very delicate and sensitive and while we take every precaution to clean it to our best ability, if you’re not completely satisfied with the results you may pay nothing at all or a small inspection fee. Whether your area rug hasn’t been cleaned in 10 years and is dirty from years of wear or you have pets that have treated it less than respectful, we can help. We closely inspect and evaluate the needs of your specific rug to carefully assess the repairs that might be necessary for a thorough cleaning. We’ll answer all your questions and address all your concerns until you’re comfortable knowing your rug is in the right hands. We check rugs for colorfastness and whether the dye is likely to ‘bleed’ or migrate into surrounding fibers. This way we can provide the extra special care it needs so we can deliver you a beautifully cleaned area rug you envisioned. However, if your rug has been seriously damaged from pet stains or severe spills, it might be best to clean it at our shop. There it can be given the personalized treatment and care it needs and deserves to maximize repair. Did you know wool can hold up to 35% of its weight in water and still FEEL dry? That’s why a thorough cleaning and drying may require several days at our shop for maximum benefit. You may think only you can clean your heirloom rug with the delicate love and care it needs. However, this can be disastrous and lead to irreversible damage. We know you can’t put a price on sentimental value, which is why we’ll treat your rugs like they were our own. 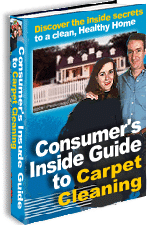 Let the experts at Rainbow Carpet Cleaning provide you the professional cleaning service your heirloom rugs deserve.